In short, my seemingly minor revision provides a condition for the success of anti-capitalist revolution, and thus helps explain why no such revolution has so far been successful in the long run (namely because the condition has been absent). Another way of seeing the implications and advantages of the revision is by contrasting it with the views of orthodox Marxists. A single sentence from Friedrich Engels sums up these views: "The proletariat seizes state power, and then transforms the means of production into state property." This statement, approved by Lenin and apparently also by Marx, encapsulates the mistaken statist perspective of the orthodox Marxist conception of proletarian revolution. “Every new social structure makes organs for itself in the body of the old organism,” the anarcho-syndicalist Rudolf Rocker writes. “Without this preliminary any social evolution is unthinkable. Even revolutions can only develop and mature the germs which already exist and have made their way into the consciousness of men; they cannot themselves create these germs or generate new worlds out of nothing.” The institutions around which anarcho-syndicalists hope to construct a new society are labor unions and labor councils—organized in federations and possessing somewhat different functions than they have in capitalist society—but whatever one thinks of these specific institutions as germs of the future, one can agree with the basic premise of prefigurative politics (or economics). And it is this that is, or should be seen as, quintessentially Marxist. All the main components of Lenin’s doctrine—the stress on the need for a disciplined revolutionary vanguard; the belief that action (the “subjective factor”) could alter the objective course of history (and in particular that seizure of the state apparatus could bring about a social revolution); his defense of Jacobin methods of dictatorship; his contempt for liberals and democrats (and indeed for socialists who compromised with them)—all these stemmed not so much from Marx as from the Russian revolutionary tradition. Lenin used the ideas of Chernyshevsky, Nechaev, [etc. ]....to inject a distinctly Russian dose of conspiratorial politics into a Marxist dialectic that would otherwise have remained passive—content to wait for the revolution to mature through the development of objective conditions rather than eager to bring it about through political action. It was not Marxism that made Lenin a revolutionary but Lenin who made Marxism revolutionary. On top of this, there is the tendency for party activity to degenerate into the “parliamentary cretinism” that Marx and Engels loathed, “a disorder which penetrates its unfortunate victims with the solemn conviction that the whole world, its history and future, are governed and determined by a majority of votes in that particular representative body which has the honor to count them among its members, and that all and everything going on outside the walls of their house....is nothing compared with the incommensurable events hinging upon the important question, whatever it may be, just at that moment occupying the attention of their honorable house.” In general, the real conditions and struggles of the working class can be forgotten or neglected by an insular party elite seduced by power or its illusion. 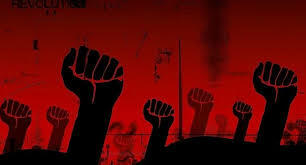 It's necessary to conceive of revolution in a gradualist way, not as a sudden historical “rupture” in which the working class takes over the national state and organizes social reconstruction on the basis of a unitary political will. Not new not original. See criticism elsewhere on this site of, for instance, Paul Mason's 'Post Capitalism' and on other proponents of Workers Co-ops and the 'Solidarity Economy'. I read Paul Mason's book and wasn't very impressed. And nobody, as far as I know, has revised the Marxist theory of revolution in this way, to make it more relevant to the solidarity economy. You should read more carefully and not be so averse to sensible critiques of old dogmas. But all I see here in relation to the claimed 'solidarity economy' is the re-branding of old dogmas! Well that's a mistaken reading. There's certainly no rebranding of old dogmas here. If you want to sound at all plausible, you have to give specific examples and explain in what sense they're "old dogmas" (or unoriginal, etc.). Otherwise your comments have all the cognitive content of "boo, I don't like this."